One of the elements of Phlox Elements plugin is?Gallery widget. ?Your images can be displayed in a gallery which is customizable. ?You can specify the gallery layout and change its style or even columnize the images. Recommended: You can find gallery demos here. Follow below steps to add?Gallery Widget?in your posts and pages content. You can select the images you want to appear in the gallery by clicking on?ADD IMAGES?button. On Grid and Masonry galleries, you are able to change the number of columns up to 6 columns. Also, you are able to change the column numbers on mobile and tablet. 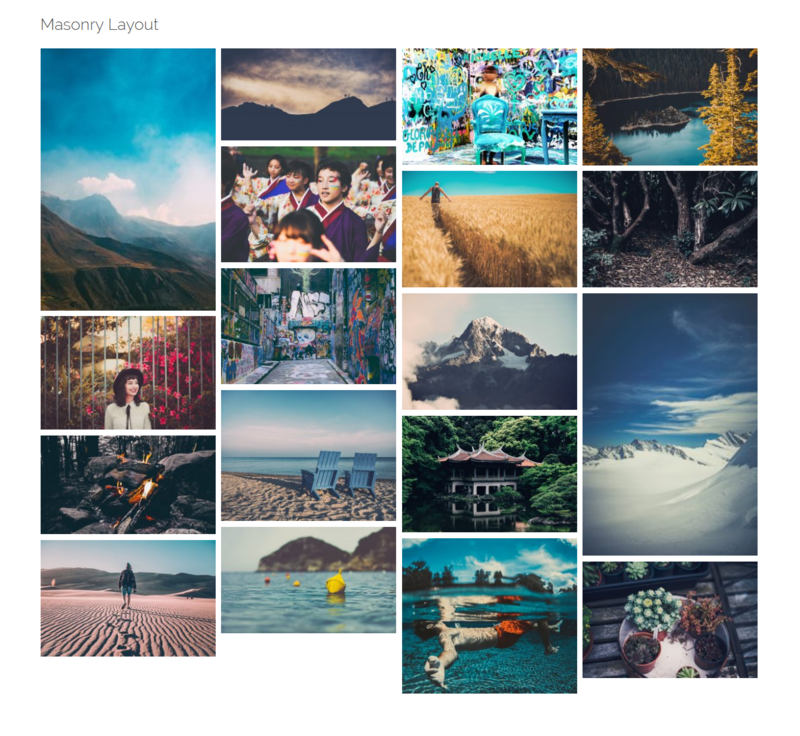 Like the previous option, on Grid and Masonry layouts. You can change the values from 0 to 40 pixels. This option is only available for Grid layout. You can change it from 0.1 to 2. Your images can be linked to Media File, Attachment Page, Lightbox, or you can simply choose no link for them. This option is suitable for long webpages. ?Images outside of viewport will not be loaded before user scrolls to them. You can show up to 100 images per page. You can order them either ascending or descending. You can choose a color for the image hover overlay. 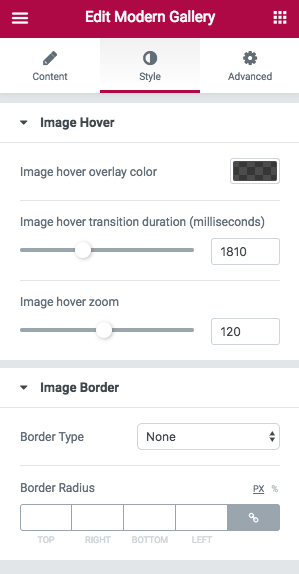 Also, you are able to change the hover transition duration in milliseconds. The space around of the image can be increased after hovering with increasing image hover zoom. If you add an image border, it can be?Solid,?Double,?Dotted,?Dashed, and?Groove. Besides, you can change the width and color. Or add a?Border Radius?in pixels. Writing a title for the gallery is optional. 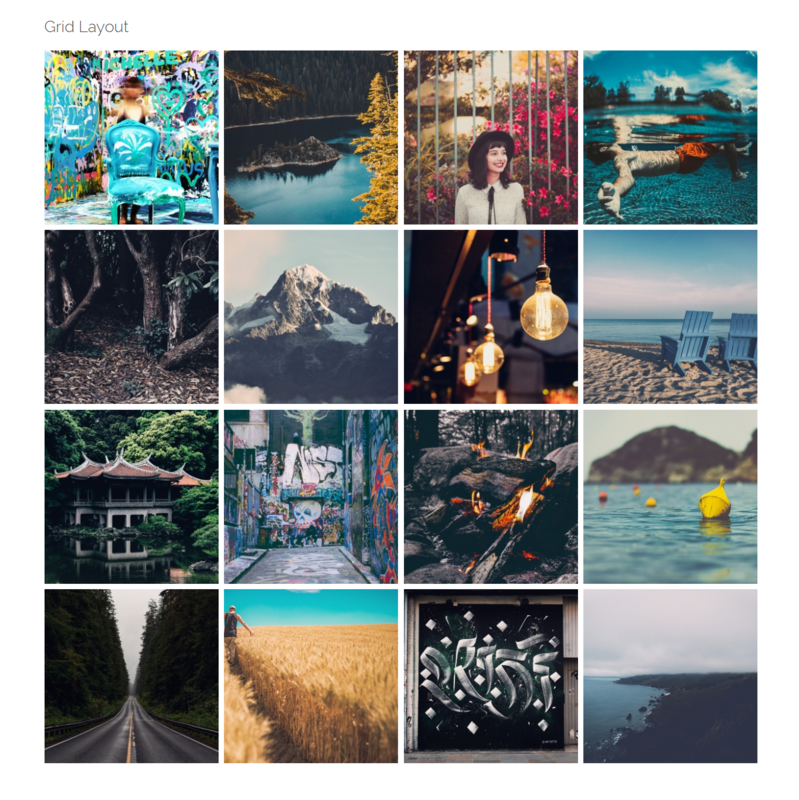 To select the images of your gallery, you can Add Images one by one, or hold the ctrl key and select the images you want to add to the gallery. Choose the way you want your images to appear in the gallery. They can be in a?Grid?gallery or?Masonry gallery. Here you are able to order the images either ascending or descending. The images can be shown in columns. You can specify the number of columns (up to 6) or change the number of columns on smaller screen sizes. The space between images is changeable in pixels. You are able to choose what happens when you click the images.They can open in a Lightbox?or in WordPress Attachment Page. Choose?None?if you want nothing to happen, and if you want to?open images in the original size, select?File. Our Recommendation is Large-sized for 2 column gallery, Medium for 4 column gallery, and Thumbnail for more than 4 columns. You can specify?the number of images per page. This field lets?you customize the widget. Write a style on?your CSS file, then add the defined class name here.